This band's reimagination of Pink Floyd's The Wall just seemed so right. I've since gotten into a number of bands that play a similar style of music. I was suppose to go to this show with my buddy Pat, he cancelled at the last minute. He was the one who first played me their stuff. 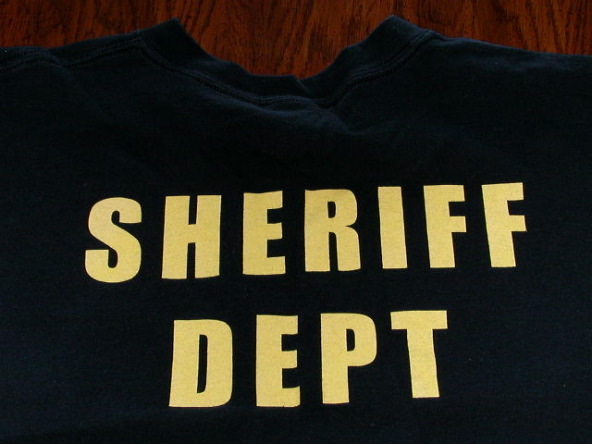 This shirt caused me some confusion at the show, I kept seeing people with "Sheriff Dept" on their backs. I thought a lot of cops must be in from the states and happened to show up at Richard's. The front of the shirt has a little star which actually is a Luther Wright and The Wrongs logo. The show was great, high energy music perfect for dancing. I didn't learn till after the show when I went to buy a shirt that it was their tour shirt.